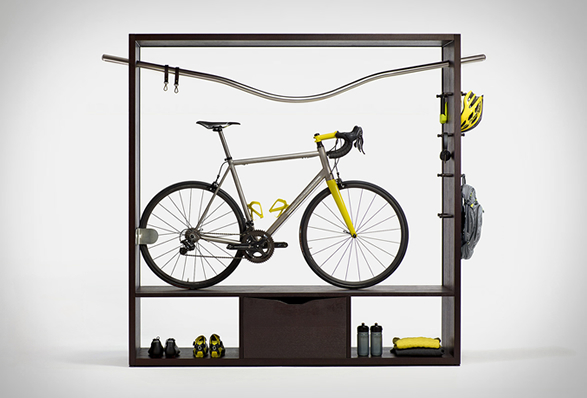 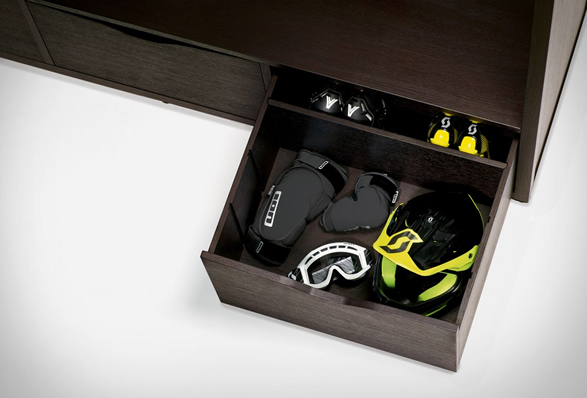 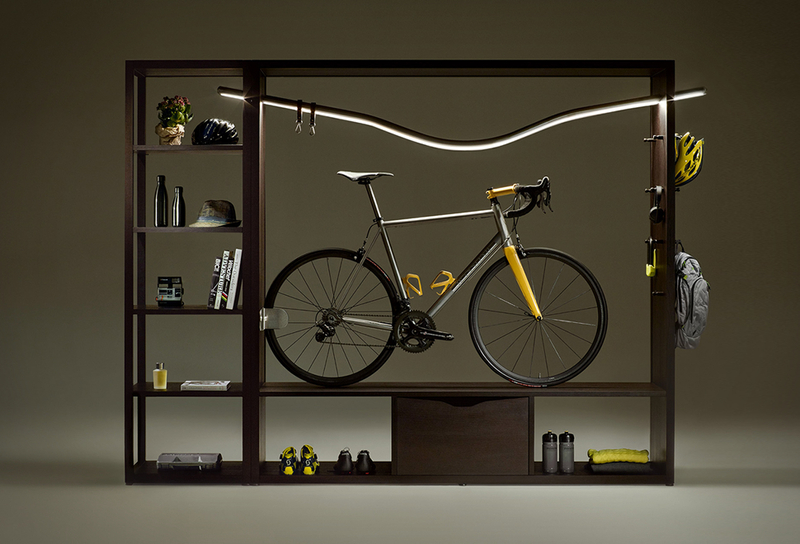 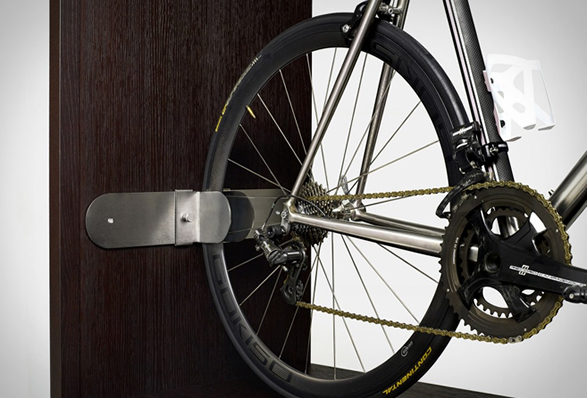 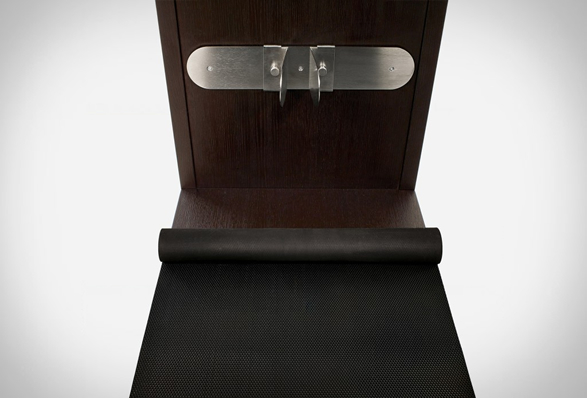 Available now for purchase is the spectacular Bike Shelf by Vadolibero. 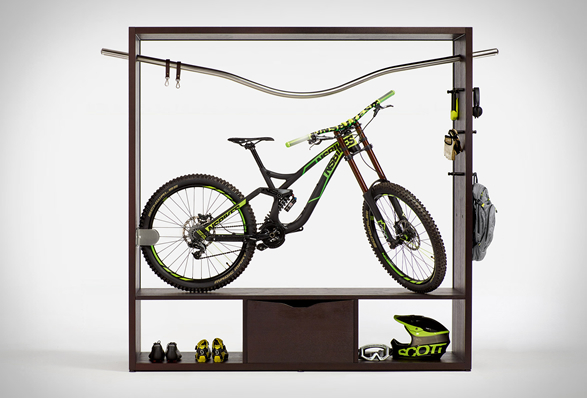 The sleek furniture piece is dedicated to urban bikers, and it has been especially designed to transform one´s bicycle into an indoor sculpture or feature piece, allowing you to showcase your prized possession, giving it a deserved place of honor in your apartment....like a trophy in a glass jar. 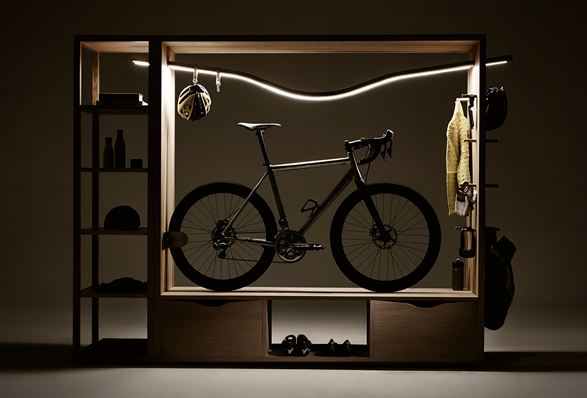 The modular structure allows you to park your bike keeping it in place using a stainless steel clamp that can be adjusted to accommodate every wheel and handlebars width, also included is a clothes rack that doubles as a lamp, casting light on the bike frame. 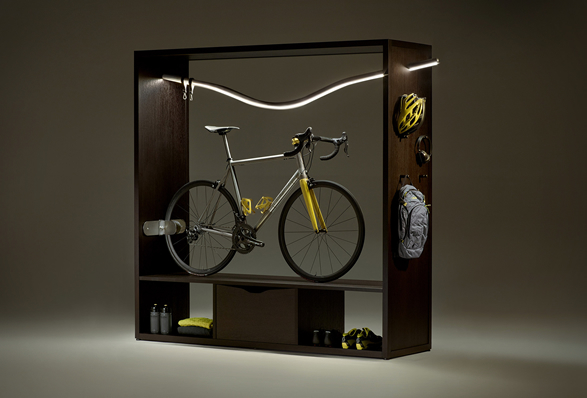 A series of wooden poles can be arranged on the side panel to hang jackets and accessories, and a lower compartment features draws to accommodate all your biking gear, helmet, pump, water bottle, pad lock etc.